2016 Kendama Buyer’s Guide, find out what is the best kendama for you. 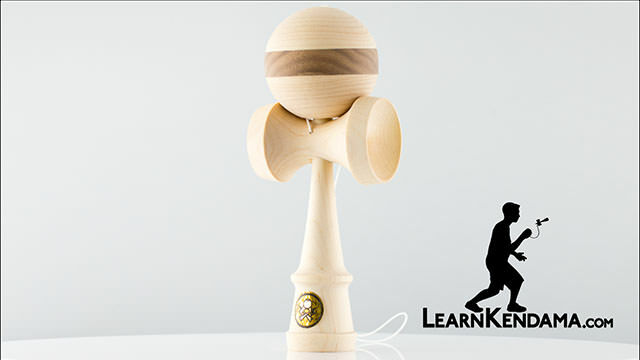 This is the 2016 LearnKendama.com Buyers Guide, it is our first buyers guide. And if there is ever a new Kendama buyers guide, on Youtube there will be a link here in the video to that and if you are watching it on our website there will be a link in the description below the video. We also have a iOS and Android LearnKendama.com app, where you can learn all the tricks and if you are watching on there we will have links below the videos in the app as well. And throughout this video we are going to be referencing certain products and any time we do that we will put links in places to those specific products. Now in this video I am going to answer the question, what is the best Kendama? Now we know the answer to this question is really just a matter of opinion, we also feel that the answer to the question very much relies on who you are as a player. So in this video I am going to talk about what we think are best Kendama for you that we can make available right now. Now if you have two Kendama and you got them side by side, you will notice that they are very similar and they can often be difficult to tell, which one is the best. This is actually by design, you see, the Kendama is an ancient Japanese toy, which over the years has been refined and refined and has very specific characteristics, and most modern Kendamas conform to those characteristics. They all tend to have the same size Tama the same shape, same size hole, same size Ken, same size spike, same size cup, they are usually made out of same type of wood. So you can see lots of things are very similar. Now this isn’t to say that all Kendama are created equal, there are a lot of Kendama out there on the market which are at lower prices which are made with not as good craftsmanship, usually inferior wood, if you have one of those Kendama it is perfectly fine to get started on you can learn those but we find it tends to dampen the experience of learning and making it not as enjoyable, and they certainly do not last as long. Now despite all of the similarities, there are a number of characteristics, that set great Kendamas apart and we are going to talk about those. One of the most common ones will be the paint that you use on the Tama where maybe it is sticky or there is a certain type of material that will make balance tricks easier, or make some other tricks easy. There is also some companies that are the premium companies have changed that shape of the Ken just slightly to make the whole experience of playing it better and there is also of course premium Kendamas, which tend to break the mold completely, maybe they change the size or shape of the cups a little bit even make them out of exotic woods which is really great. Now before we get into what is the best Kendama, I want to talk to you about two items of maintenance. Which is really important because it will help you so you do not have any hang ups with your Kendama and you can get the most out of it. The first piece of maintenance is string, typically you only have to change your Kendama string, when it breaks. So it is a good idea, have some extra string around, that way if it breaks you can string it, get back to playing it really quick. There is a couple other reasons you might want to change your string. One is if you are left handed right away you will need to change the string in order to get the big cup and the small cup on the correct side. We have a whole video about how to string your Kendama and how to set it up for left so check out that video if you need to. Another reason is maybe you just like color of a certain string or you want to mix and match the color of the Tama and a Ken or put on certain color strings. Those are great reasons to change your string so it is a good idea to have some extra string around. The second piece of maintenance I want to talk to you about is about the Kendama spike. What you will notice is if you are playing with a wooden Kendama, the force of the Tama hitting the spike will cause the spike to dull, to wear out, and even shorten. This is a problem because if the spike gets too short, your Kendama will not really be usable and whenever a spike dulls which happens pretty fast. It is actually harder to hit spike tricks, so what we find is the best way to get the longest life out of your Kendama is to reinforce the spike with Spike Armor, which is available on our website. Spike Armor is really great because you can reinforce the spike on your Kendama and usually it will last four times as long or even more and as the armor wears you can apply another coating and Spike armor is really just a very specific type of superglue, which we find is the best for Kendamas and we have made available in a very easy form. So you want to make sure to pick that up. Now one of the things that is great that we have done on our site for our users is we have made all these things you need for a Kendama available in discounted packs. So you will want to check that out for each Kendama, you will be able to get the Kendama along with the extra string, the Spike Armor and even a clip for carrying the Kendama around all in a pack that is discounted and so those are something that is really great that you will want to check out. Now for the very beginner player, we have actually two recommendations, but before we recommend that there is one other, two other I want to recommend. Especially for very young children or anyone who is just been interested in Kendama, we find interestingly that our first recommendation is not even a Kendama but it is a toy that is based off the Kendama called the Pill. Now as you can see the Pill is just a simplified Kendama, there is no cups, it just has a spike and a cap which has a hole in it. The hole is the same size as the Kendama as it is on the Kendama but what is really great about the pill is the edges actually slope inward and this makes the area of catch a little bit larger so that when you are trying to land that spike it will help kind of slide the spike right into the cap so you can land that spike a little easier and that is really great for kids, they can get that spike. Really feel like they have mastered the toy and it just helps to build self confidence. But like I said it is a toy that is not only great for kids but also for anyone looking to just expand their skills, it is easy to do a lot of advanced tricks and because the spiking is easier you can get into those advanced tricks a lot sooner. There is also a number of tricks that are very pill specific and look great on the pill. Now the first Kendama we are going to recommend especially for new players is the Catchy Air. You can see that it breaks some of those conventional standards that we talked about earlier, most notably it is made of plastic, but it also features a slightly larger base cup which makes any trick that uses the base cup easier to perform. Now we have a full product review on the Catchy Air which you can go watch if you are really interested in it and want to learn more but I would like to highlight a few features right now. First because it is made of plastic the spike does not dull, which is really great because you do not have to worry about upkeep or using spike armor. The second feature that is great is the cups have these rubber rings really help with performing cup tricks, they help with balance tricks and the other great thing about them is a lot of plastic Kendamas have annoying kind of plastic sound, but with the Catchy Air, that sound has really been muted because of the rings. Finally the most important feature about the Catchy Air is the controlled weight. Because it is plastic, every single Catchy Air you get has the same weight and the Tama and Ken are equal in weight. Which is something that even high end premium Kendamas can not achieve because it is difficult to control the weight of wood. This weight control is really important when it comes to airiel tricks, like doing swirl or hand roll, you really need that weight in order to be able to land those trick as good as you can. On the opposite end of the spectrum, from the Catchy Air, we recommend to new players the LK Standard. This has all the conventional aspects that we talked about earlier. It is the standard Kendama and this is really great for anybody looking for that classic Kendama feel. It is the Kendama we use in the majority of our videos, which shows just how versatile a classic Kendama is. Now the LK Standard also features a rubberized paint which has a little bit of a grip to it, that helps with balance tricks and cup tricks. It also has this stripe in it which is really great when you are trying to learn all your first spike tricks like earth turn or airplane, as it helps you know where the hole of Kendama is. Now another Kendama that goes along with this is the LK Natural, which also has all the same same great features except there is no paint on the LK Natural it is just the natural wood which is even more like that classic Kendama feel. The other great thing the LK Natural is that it has a much more affordable price. 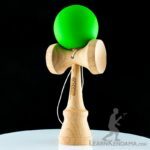 So if you are interested in Kendama but you do not want to spend a lot of money, the LK Natural is an excellent option. So those are our recommendations for new players and the Kendamas that we think they should get, now we are going to get into what we consider the mid range Kendama and for us these Kendamas have a unique feature that helps you learn and master certain tricks, or just makes the experience of playing Kendama better. Some companies might call their Kendama in this range premium but we like to reserve that term for Kendamas that are made of more exotic woods and are typically a little more higher end. So our first recommendation in the mid range Kendama is the Catchy Street. The Catchy Street features a slightly larger base cup which makes learning lighthouse tricks easier as the base cup provides a larger area. What is also great is that they drilled out a hole in the bottom of the base cup which makes the weight distribution on the Kendama as good as possible. 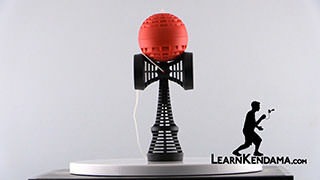 It also features a rubberized Tama which is good for balance tricks it also helps with the lighthouse tricks so if you are really interested in learning and mastering lighthouse tricks, the Catchy Street is the Kendama for you. Now the next mid range Kendama that we are very excited the recommend is the sweets F3 Kendama, and the F3 refers particularly to the model of the shape of the Ken and there is a variety of F3s that there are. This is the F3 stain which you can see the grain of the wood through the paint on the Tama there is also a Fade where the paint fades, in just a few different varieties of it and what is great about the F3 line is that it combines some of the best qualities in the mid range price point, what we love particularly is that you can see where the string comes out of the Ken it is slightly offset to the center of the Kendama and you might think that this is a mistake at first but it is actually very important. What is really great about the offset string is that it is really useful for any type of pull up trick, from your basic airplane, it helps keep your Ken nice and straight to lunars in developing good consistency with those even consistency with your one up tricks. So if you are really interested in mastering one ups, lunars, any type of those tricks, this is the best mid range Kendama that we can make available to you. So those are our mid range Kendama recommendations, now we are going to talk about our Premium Kendamas, which like we said have to do a lot with woods that are higher end more exotic, and the KROM Viking Kendama is a really great example of that. The KROM Viking is made out of maple and walnut and has a very unique look, specifically it is called the KROM Viking Zebra Kendama because of the stripes, it is just a very exotic wood and exotic look and it is also slightly oversized which just makes Kendama play a lot of fun because the cups are bigger it makes it easy to hit those tricks, land those spike tricks. The one thing that we did find with young kids with smaller hands the Kendama can feel little bulky, but for anyone else who is just looking for something and a lot of fun we could not be happier to recommend this for those people as it is really great. Now I know what you are wondering at this point, you are wondering is there a best Kendama, which Kendama is that? And if we had to give that title to just one Kendama we would have to say that it is the Sweets Homegrown Kendama. Now what is great about the Sweets Homegrown Kendama is it is a high quality premium Kendama it is made here in the U.S. by master craftsman so it is really high quality craftsmanship, it is made out of maple, this particular one also has a purple heart and there is other varieties as well. We feel that this Kendama really takes a lot of the qualities we have been talking about through the video and combines it into one really wonderful Kendama. For instance it has got this stripe just like the LK Standard so you can track where the hole in the Tama is when you are doing tricks. The hole in the Tama they have changed the level a little bit, so that like the Pill spiking is easier on this Kendama it is also natural so it gives you that classic Kendama feel and just like the F3s it has a slightly offset string which helps pulling up and doing all of those one up tricks and so we feel that if you wanted to buy just one Kendama and you just wanted it to be the best Kendama we could not be happier than to recommend the Sweets Homegrown Kendama, so those are our 2016 Kendama recommendations throughout the year we will add more products be sure to check out our store and read the descriptions to why we feel those products should be listed in our store, if you are getting a wooden Kendama, make sure you get some Spike Armor as well to extend the life of your Kendama and better yet buy it in a pack so you get a discount and some extra string and those are our recommendations in the 2016 LearnKendama.com Buyers Guide.